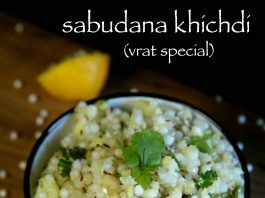 sabudana khichdi recipe | sabudane ki khichdi | sago or sabakki khichdi with detailed photo and video recipe. 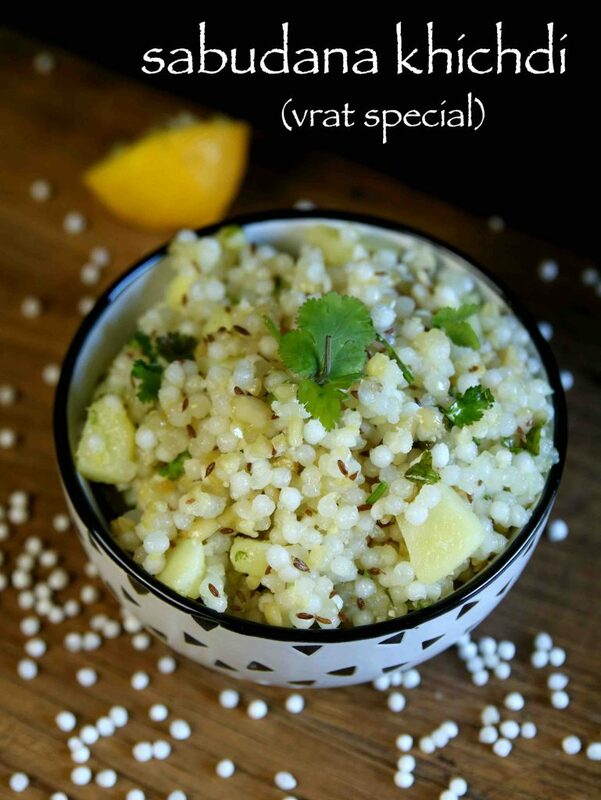 simple and healthy khichdi recipe prepared from sago or tapioca pearls and is mainly prepared during the festival seasons like shivaratri or navaratri for fasting. it is one of the main fasting dish from western india, especially from maharashtra, gujarat and rajasthan. sabudana khichdi recipe | sabudane ki khichdi | sago or sabakki khichdi with step by step photo and video recipe. the recipe is prepared by soaking the sabudana in water which later sautéed with bolied potatoes, groundnuts, green chillies and cumin. typically it is served mainly during fasting season as it is full of carbohydrates and is essential for fasting. but it can also be prepared for very similar to upma for breakfast. i personally do not fast for any occasion and i prepare sabudana khichdi recipe for my day to day breakfast recipe. and hence i prepare it similar to upma by adding ginger, curry leaves, mustard seeds and garnish with even dried coconut. but this is totally against the fasting version and therefore i have skipped those in this recipe. if you are strictly looking for fasting recipe, then the above ingredients are prohibited. but trust me it tastes great and chatpata with those ingredients. 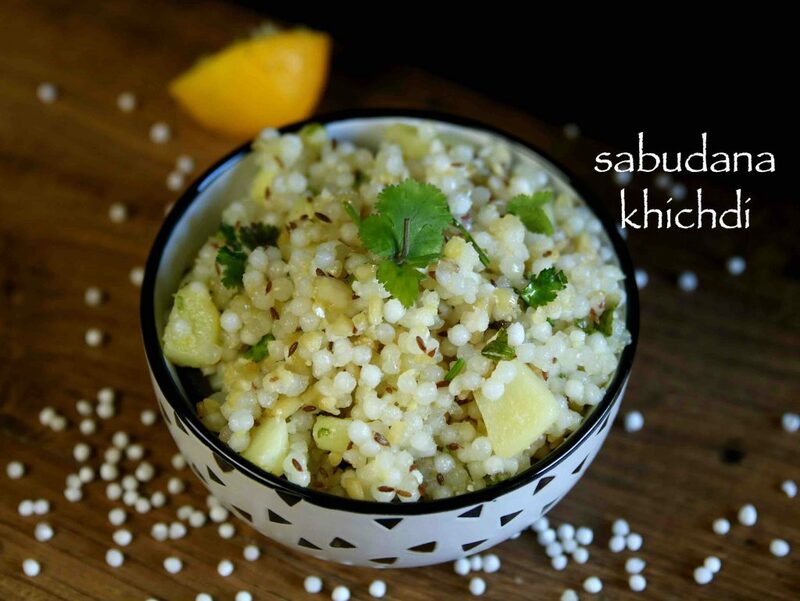 furthermore some important tips and suggestions for a perfect sabudana khichdi recipe. 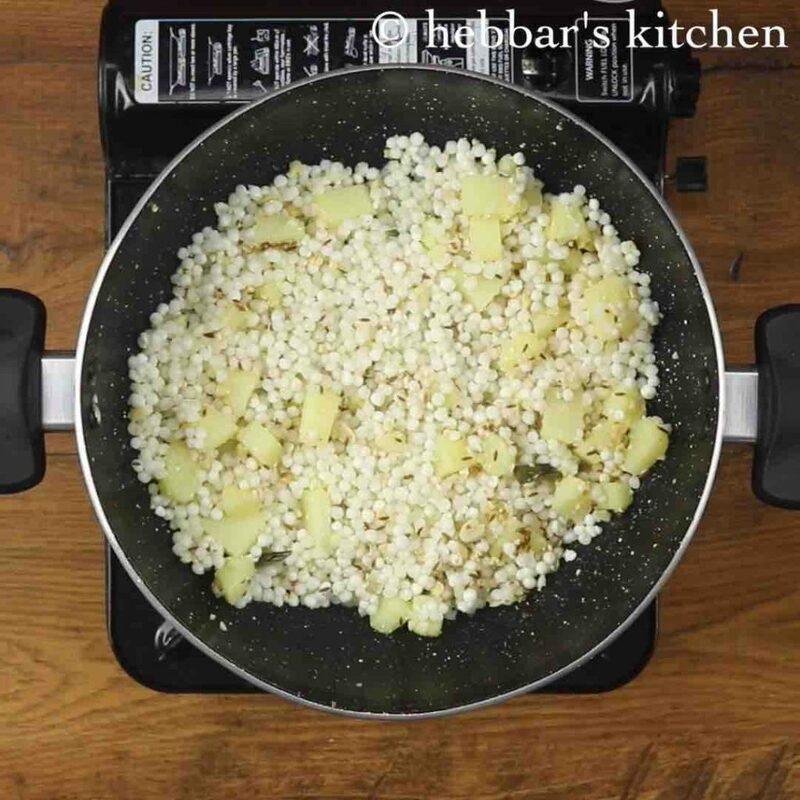 firstly, soaking of sabudana is very important step for sabudane ki khichdi recipe. 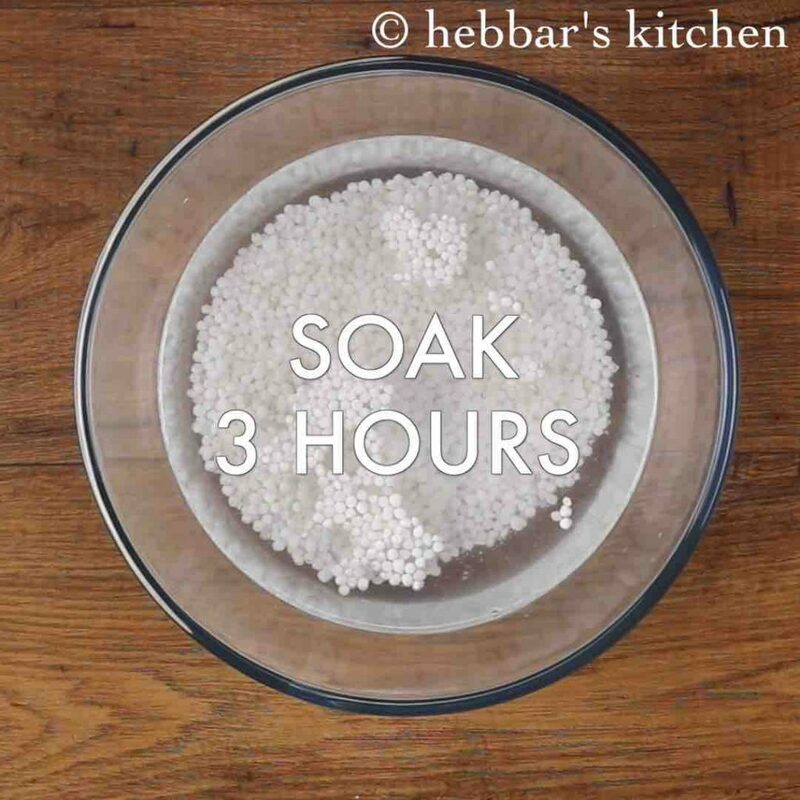 i typically soak it for 3-4 hours and it is more than sufficient, but again it depends upon the sago pearls. hence to begin with, start with 2 hours and if you find your sago pearls hard after cooking, increase it by 1 hour. secondly, cook the sabakki pearls until translucent in a medium flame. it has to be cooked well, otherwise you may end up with indigestion. firstly, in a large bowl soak 1 cup sabudana in enough water for 3 hours or till it gets mashed up easily. depending on quality of sabudana increase or decrease the soaking time. 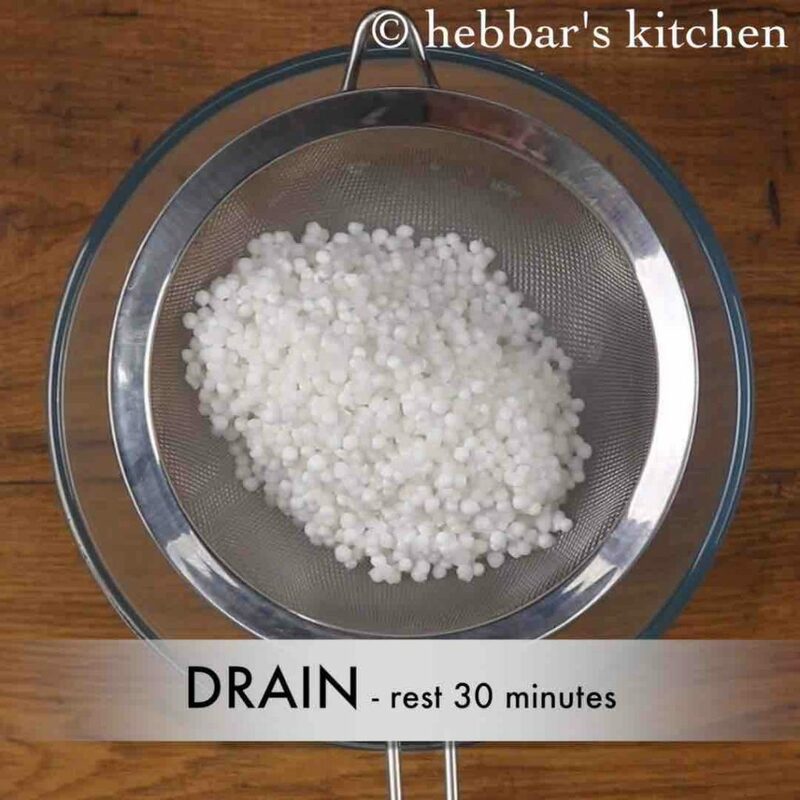 drain off the sabudana well in a strainer and rest for 30 minutes. 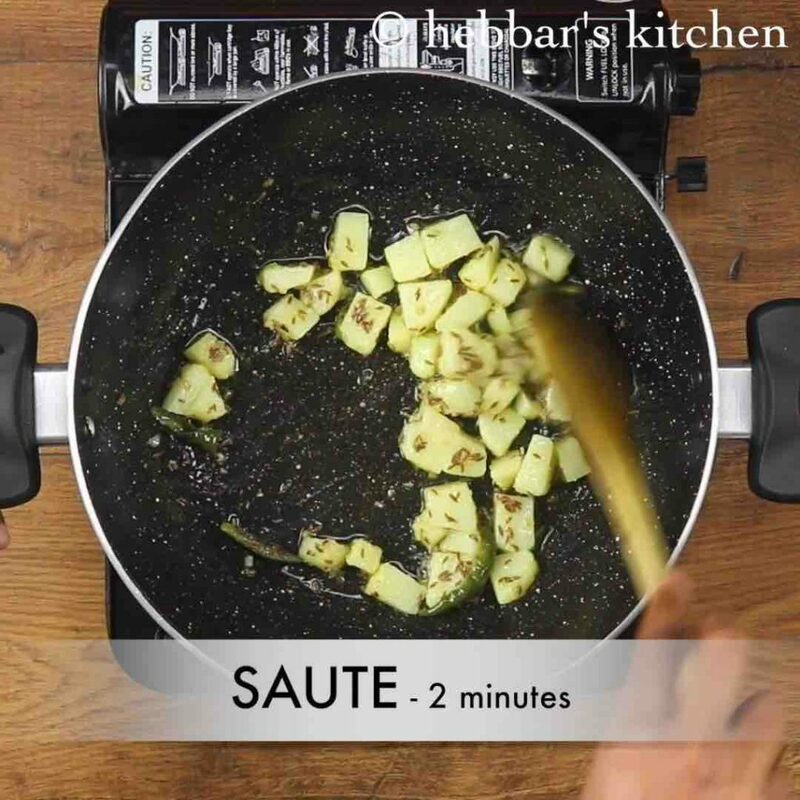 prepare the tempering by heating 2 tbsp ghee in a kadai. further add in 1 tsp jeera and saute till they turn aromatic. 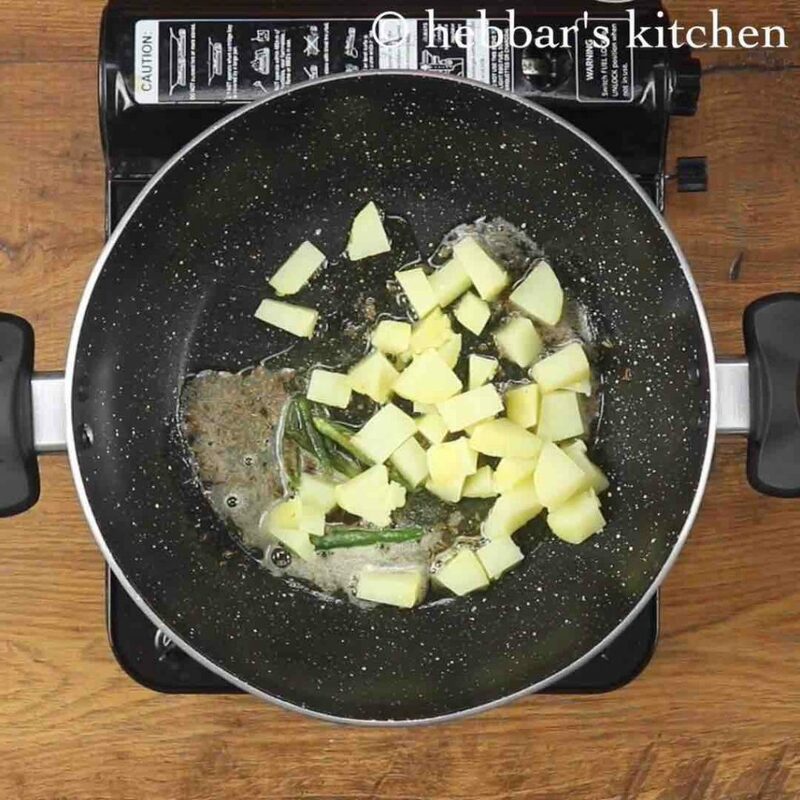 additionally, add 3 slit green chilli, and ½ boiled and chopped potato. 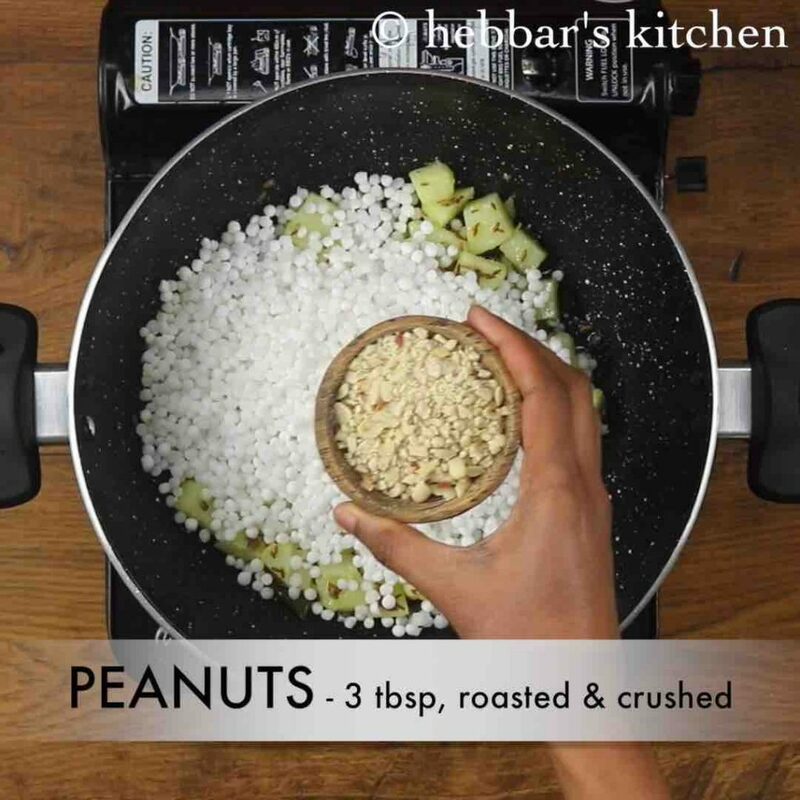 now add in drained sabudana along with 3 tbsp roasted & crushed peanuts, 1 tsp sugar and ½ tsp salt. combine well making sure not to mash the sabudana. 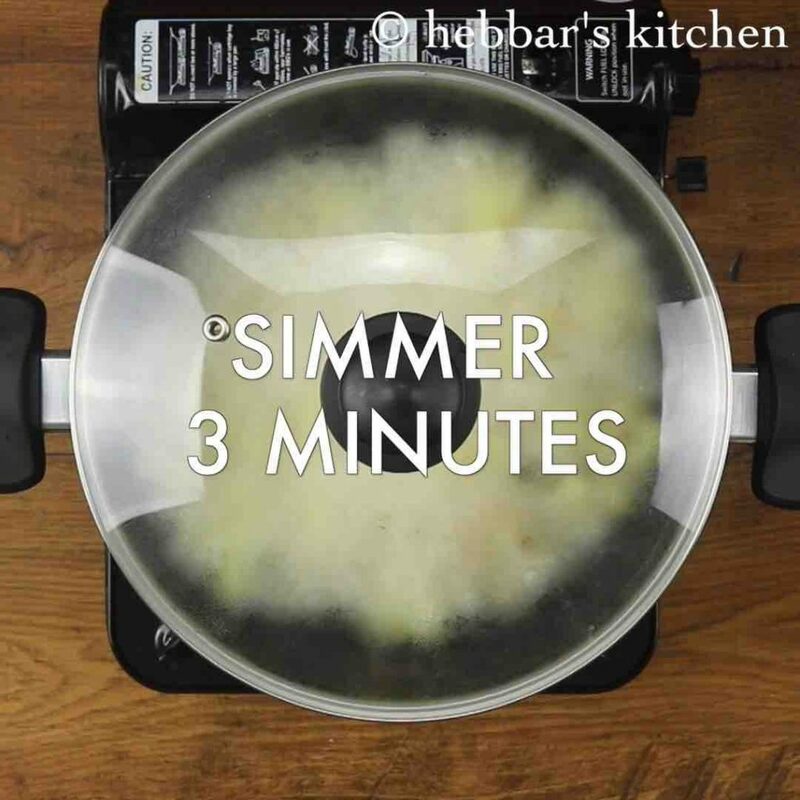 cover and simmer for 3 minutes or until sabudana gets cooked well. 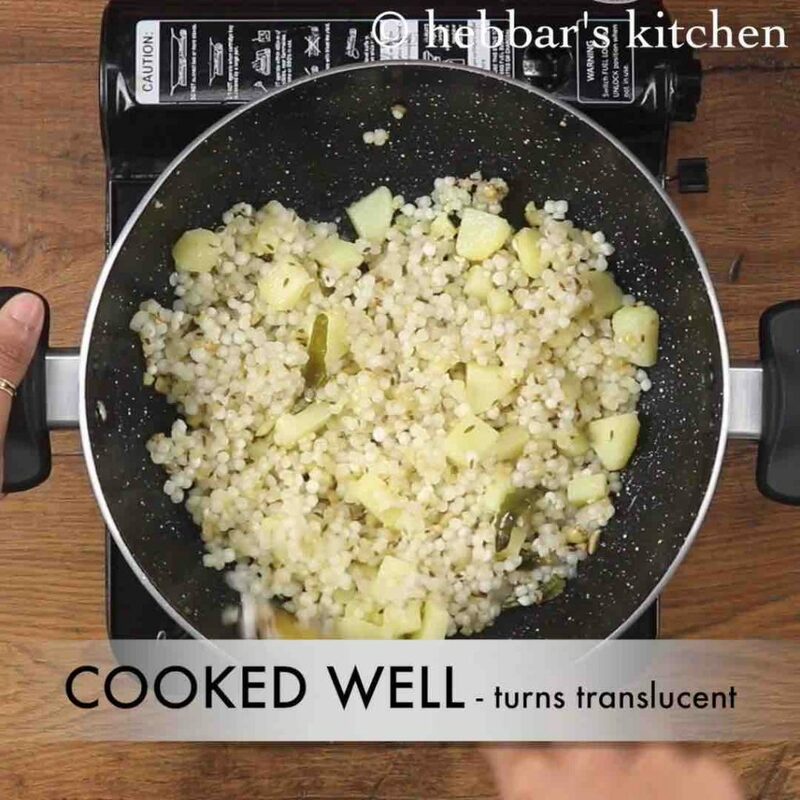 sabudana has cooked completely indicated by the pearls turning translucent. 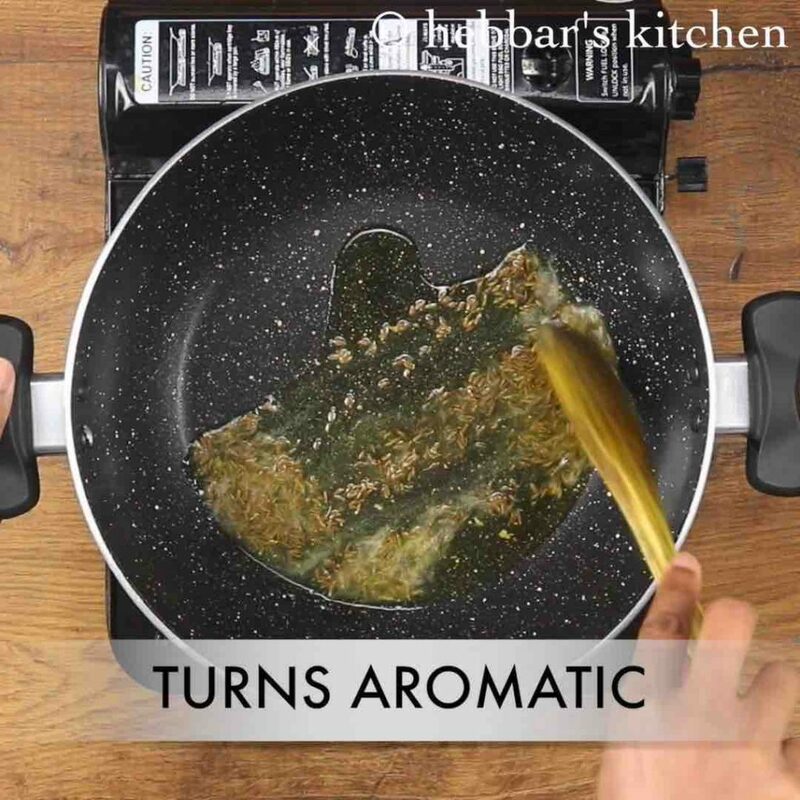 furthermore add in 2 tbsp coriander leaves and half lemon juice. mix well. 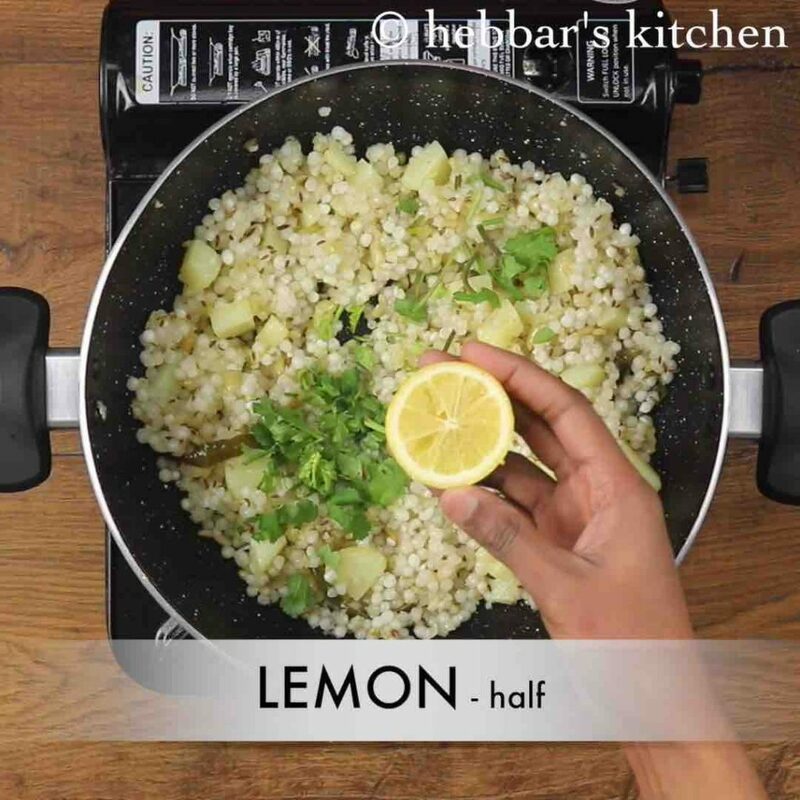 finally, serve sabudana khichdi for breakfast or as a snack. 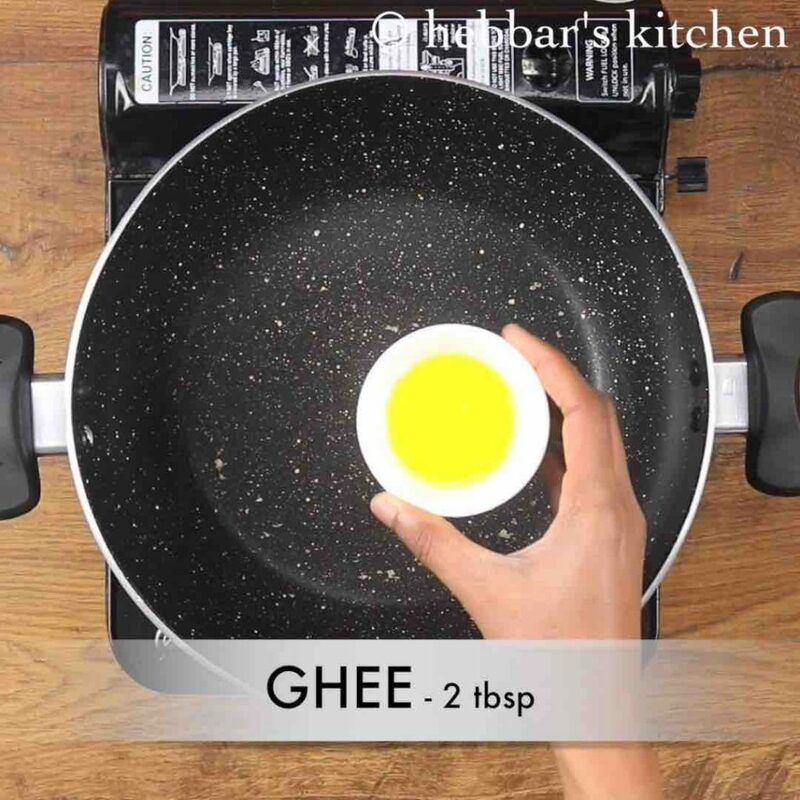 meanwhileprepare the tempering by heating 2 tbsp ghee in a kadai. firstly use ghee for more flavours. however you can replace with oil. also, add ginger and curry leaves for the extra flavour if not preparing for vrat. additionally, soak the sabudana just till they turn soft. over soaking sabudana makes them mushy. finally, sabudana khichdi recipe taste great when prepared spicy and with more crushed peanuts.